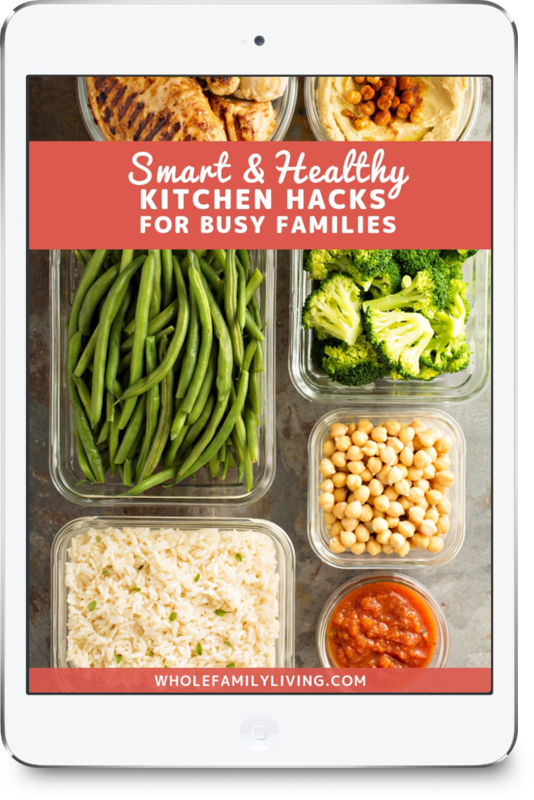 When you’re trying to provide healthy, home-cooked meals for your family you may feel like you’re in a vicious cycle of back to back trips to the grocery store. Add to that time spent making shopping lists, planning out meals for the family, prepping, cooking, washing dishes (or loading and unloading the dishwasher) and cleaning up and you wonder how you ever have time for anything outside of the kitchen! 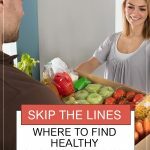 It’s no secret that nowadays there are many ways to get healthy foods without ever stepping foot inside a store, and one of these “shortcuts” is to buy healthy groceries online! 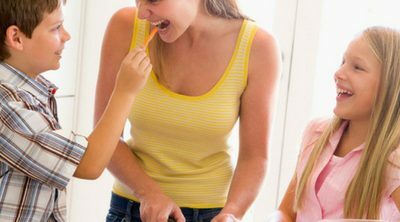 Feeding the family and grocery shopping are chores that simply cannot be avoided. If you have a busy family – and my guess is that you do – you have no shortage of things on your to-do list. And one task that resurfaces over and over again (possibly every day even) is grocery shopping. 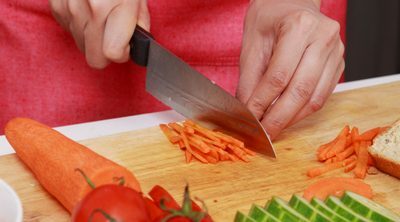 But how do you feed your family healthy meals without feeling like you live in the supermarket? 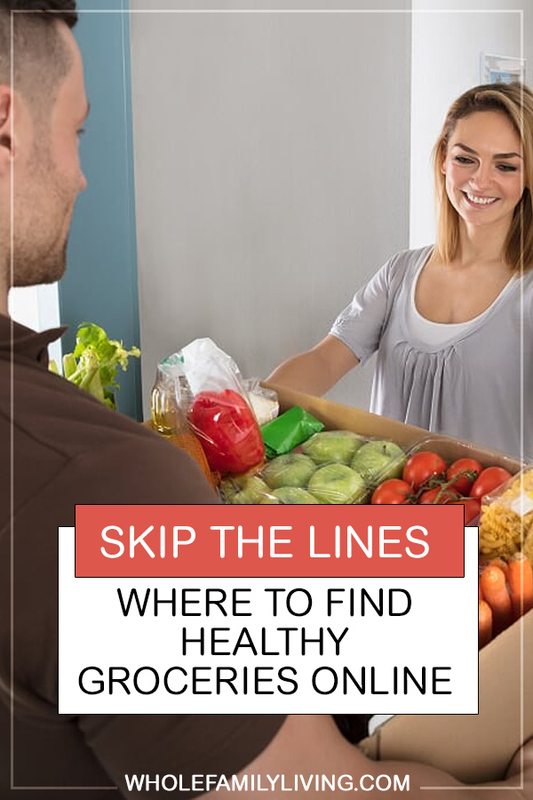 You may have thought about buying healthy groceries online but wondered about the types of foods and the quality of the items you could find there. 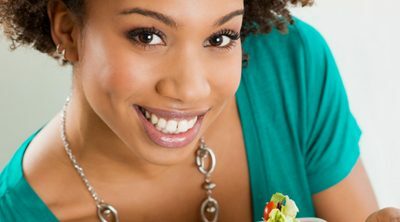 The good news is that these days it is possible to find healthy food options that can be delivered to your doorstep. Even better is that there’s now a broader variety of healthy foods. Your options include fresh produce and sustainably raised seafood, poultry and meats. These can all be purchased over the internet and delivered straight to your doorstep. But before you open up another browser tab and start shopping away, you’ll want to consider if online grocery shopping is a convenience that fits your shopping style and family situation. You forfeit the chance to touch and feel. Let’s face it. Most of the time, in order to get everything on your shopping list you’re probably running around to multiple stores. Some healthy products that I purchase regularly are nowhere to be found at my local Target, BJ’s, Costco, or even Whole Foods. And because I refuse to compromise on the quality of certain food items we use regularly I’ve converted to shopping with the mouse vs the shopping cart to get some of the healthy products that my family uses regularly. TIP: Take stock of how much time you’re spending running in and out of stores each week, and whether your local stores carry the products that you’d like to provide for your family. This will help you decide if shopping online for some or all of these products might be the right path to take. You may not find coupons. When you start to shop for groceries online, you’ll quickly realize that you won’t need coupons and there are usually no weekly BOGOs. If you are an extreme couponer, online shopping may leave you feeling disappointed. However, there are still digital deals to be found when you start to buy healthy groceries online. TIP: Browse around to different sites and look at which offer discounts. 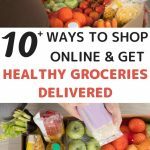 We listed some of our favorite healthy online food stores below. Many online healthy food retailers will offer perks like free shipping, savings off a certain amount spent, or clipless coupons. While they’re harder to find online than in the store, with a little digging you can locate online deals that may be close (or even better) than the in-store prices. You may find new, incredible brands. 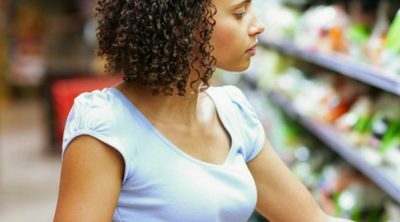 When you start to buy healthy groceries online you may discover brands that you’ve never seen in your regular grocery store. And that’s okay. You see, most supermarkets are not concerned with bringing the highest quality items to their consumers. Actually, their aim is to bring the products that have the best opportunity for profit. And let’s face it, most of the time this is not the healthier foods or household products. So when you start to shop online, you’ll want to explore other brands that may be new to you but could offer you better quality and value. TIP: Do your homework and search for your current favorite brands online. If you can’t find them, don’t be afraid to explore alternative brands that may be just as good or even better. BJs is a wholesale club that offers a variety of food items for the whole family to enjoy. And one of the best is their great selection of fresh produce. They offer same-day – and in some cases one to two-hour – delivery powered by Instacart. While BJs requires an annual membership to join, you can recoup your investment in just one trip! The savings at BJs can add up quickly especially when shopping for their healthy and organic food items and fresh produce. In order to buy healthy groceries online from BJS, you’ll want to see if your local club has partnered with Instacart. Check if BJs offers delivery in your local area. Costco’s warehouses provide same-day grocery delivery through Instacart. Simply order our groceries online and select your delivery time, which can be in as little as one hour. See if Costco delivers to your area. This chain supermarket is located throughout North Carolina, South Carolina, Maryland, and Virginia. Harris Teeter offers pickup and delivery service through their Express Lane online shopping service. Check if Harris Teeter is delivering in your area. Kroger has entered the grocery delivery arena by partnering with third-party delivery service Instacart in many of their Georgia locations. Get started with your online order at Kroger. If you’re in the Southeast region then most likely you’re a regular at your local Publix Supermarket. Publix offers grocery delivery through a partnership with Instacart. Using this service makes your online grocery shopping a true pleasure. Learn about Publix grocery delivery. Safeway grocery stores are located primarily in the Western part of the U.S. They also have a few stores in the Mid-Atlantic and Southeast region. They offer flexible grocery pickup and grocery delivery arrangements allowing you to buy healthy groceries online. Learn more about Safeway grocery delivery. Target now offers delivery of fresh groceries straight to your kitchen through Shipt. Start shopping for your groceries online at Target. Have you been waiting for Trader Joe’s to offer delivery? Well, now you can get all the products you love from TJs without leaving home! They offer delivery with through DoorDash, Envoy, and Postmages. If you’re a Whole Foods aficionado, then you’ll be thrilled to hear that the health food giant is now offering grocery delivery. Learn if Whole Foods delivers in your area. Want to save big on organic groceries? I love sharing healthy living advice and smart savings opportunities with you, so let’s keep in touch! As a bonus for my newsletter subscribers, I’ve partnered with Thrive Market to give you a huge discount and free shipping. Thrive Market is a healthy online shopper’s dream come true. They offer Whole Foods quality at Costco prices; delivered straight to your doorstep. Their products are healthy and affordable, wholesome, non-toxic – and the best part? Their prices are lower than in-store prices. 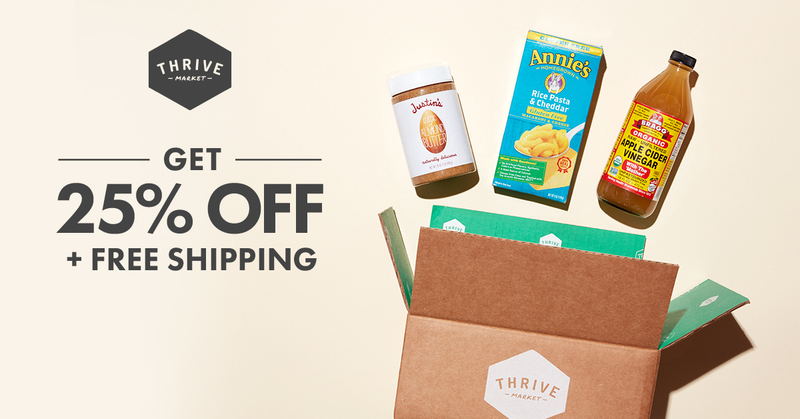 Visit this page to learn more about Thrive Market and to claim your discount. After you sign up here, I’ll send the details to your email.